and appreciates with time to become an heirloom. 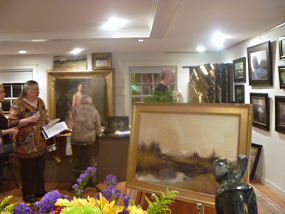 along with samplings from the Gallery Collection. 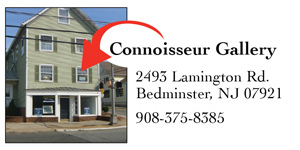 5th, 12th, and 19th Stop in for gourmet coffee from Greene’s Beans Cafe located in Hackettstown, donuts from Melicks Farm, Tewksbury and of course art. 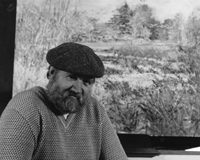 Lee W. Hughes Jr. Raisonné Project. of works produced by Lee W. Hughes Jr. Contact connoisseur@cfineart.com on submitting artwork. Further information will be coming . 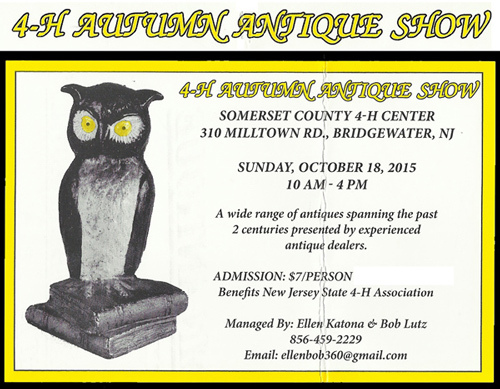 Sunday October 18th visit us at the 4-H Antique Show Bridgewater, NJ. offering a wide range of antiques spanning the past two centuries. ADMISSION: $7 per person. Parking is free. SHOP FOR ART, OUTDOORS UNDER THE TENT! 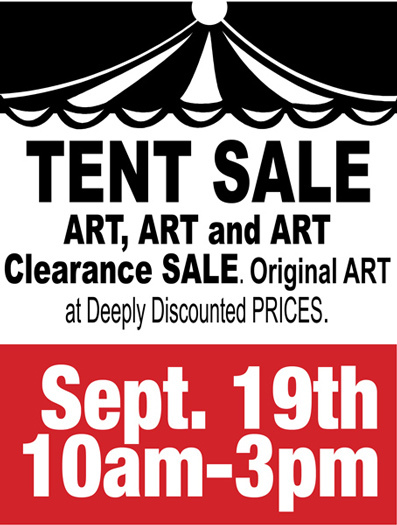 20% OFF FRAMING DISCOUNT on your art TENT SALE purchase. 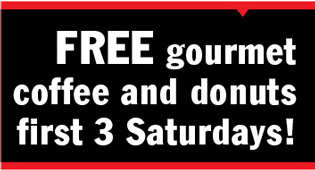 Saturday the 6th, 13th, and 20th Stop in for gourmet coffee from Greene’s Beans Cafe in Hackettstown and donuts from Melicks Farm, Tewksbury and of course art while it lasts. Stop in and Breathe Art! 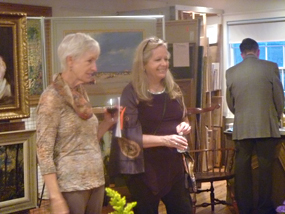 Gallery Artist...PLUS Lee W. Hughes and More. Welcome Fall! A diverse selection of 19th century artist to the 21st century. NY City to Georgetown, Maine to hot air ballooning over Hunterdon County, NJ to the Califon Bridge, Califon, NJ. A must see is the Anthony Thieme, “ Autumn Leaves at Pigeon Cove ” Thieme a well known landscape and marine painter and a major figure of the Rockport MA. 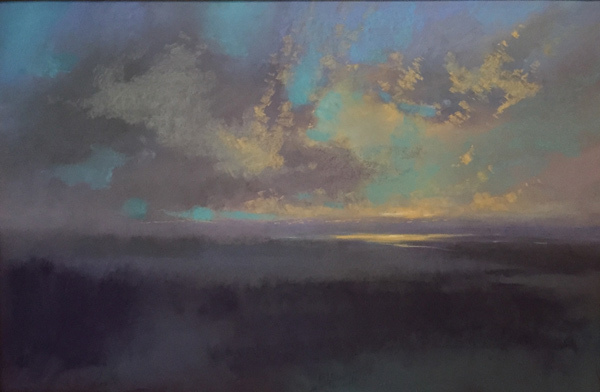 Thieme certainly had a way to capture the light. Stop in you will be impressed with what you see, wer're sure! 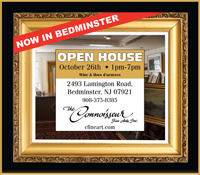 Join us as we celebrate the Life and Art of this much admired NJ artist. 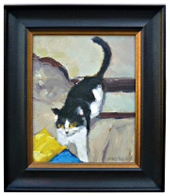 An impressive collection of works produced by this prolific New Jersey impressionist painter. SOCIAL EXPERIENCE in the Flesh! Like FB, Share it, Bring a FRIEND! 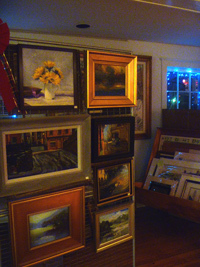 Works by Susan Blubaugh, Lee W. Hughes, Tracy Pollock, Nick Savides, Anna Wainright, Robert Waltsak, Rhoda Yanow, and More! Certificate to Twofiftytwo 252 Somerville Rd., Bedminster. and international conventions without the express written permission of the individual copyright holders.